John Schnatter, the founder and public face of Papa John's pizza, resigned as the company's chairman hours after he apologized for using the N-word on a conference call in May. 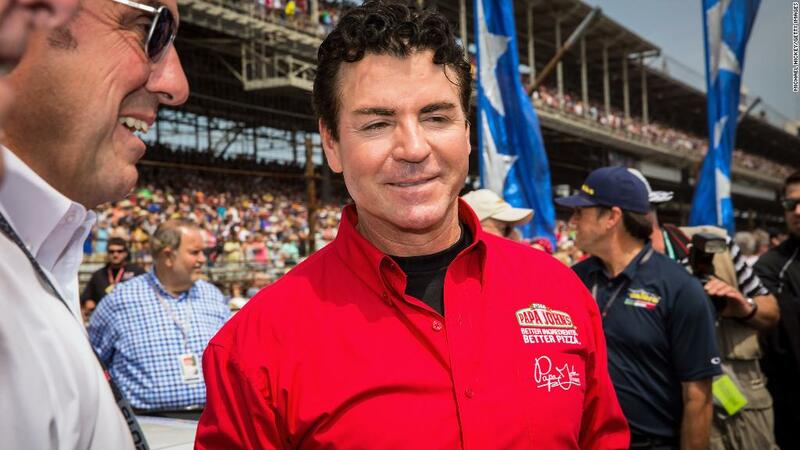 Papa John's (PZZA) said in a statement late Wednesday it would appoint a new chairman "in the coming weeks." Papa John's is the third largest pizza chain in the United States by sales, trailing Domino's (DPZ) and Pizza Hut (PZZA). It has stores in dozens of countries around the world, spanning Latin America, Europe, the Middle East and Asia. On Thursday, Major League Baseball's Miami Marlins cut ties with Papa John's. The Marlins and Papa John's had a promotional deal. In a statement, the team called Schnatter's comments "derogatory and insensitive." — CNN's Danielle Wiener-Bronner and Rob McLean contributed to this report.